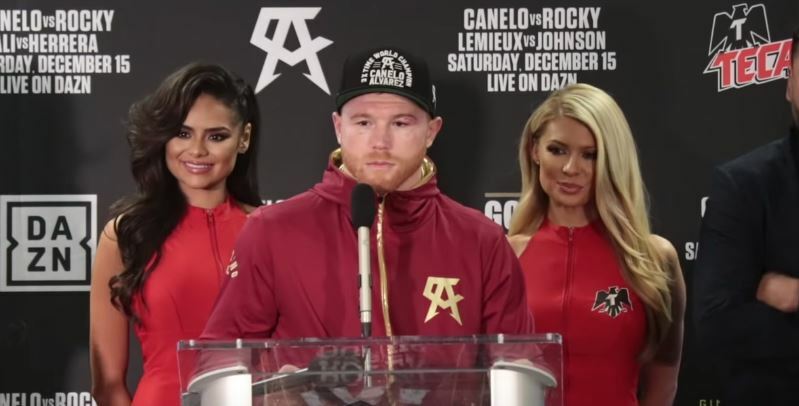 Canelo Alvarez fresh off the back of his win on Saturday night against Rocky Fielding at Madison Square Garden has been linked with a huge potential next fight in the UK. The Mexican and global boxing star has primarily campaigned in Mexico and the United States throughout his boxing career as a professional but with his brand and star now a world one, an iconic 90,000 sellout at Wembley soccer stadium is something that’s surely tempting him in the back of his mind. A third fight with Gennady Golovkin or a unification with Danny Jacobs were the leading contenders for his next fight but as is often the case in the fight business, things have changed at the drop of a hat. Super-middleweight champion Callum Smith, a fellow Liverpool man like Canelo’s opponent on Saturday night Rocky Fielding — has now being linked with the next shot at Canelo. Never going to happen. Why would he come and fight in England where he doesn’t own the judges. He could be KO’d in America and still get a draw. I’d love to see it happen I think Callum causes him all sorts of problems. A LOT of delusional people in the comment section. Smiths a good fighter, but all he does is last longer against Canelo. Triple G hit him with a punch that could kill a horse. He walked through em. He will do the same with Smith and wear that long body down. But there’s very little reason for Canelo to stay at 168 to fight the best, when he can drop to his natural weight and fight plenty of decent names there for less risk. Got to be at Anfield. Forget Wembley..
Further reports suggest that Canelo’s handlers are seriously considering the fight for the Mexican boxer so watch this space over the coming weeks.